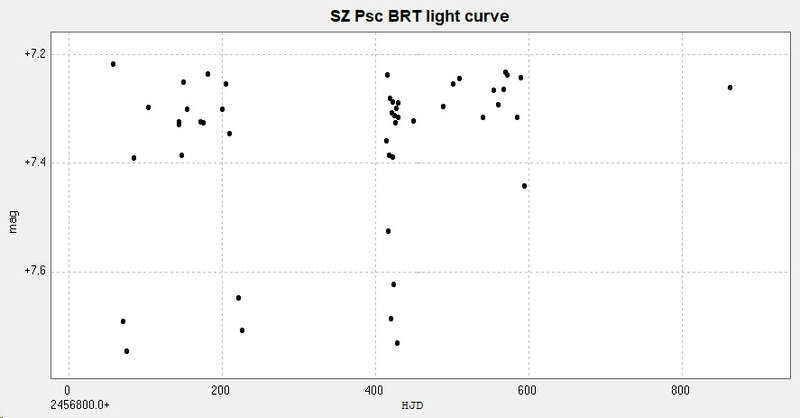 Light curve and phase diagram of the EA type eclipsing binary SZ Piscium / SZ Psc. Constructed from photometry of 48 images taken with the Bradford Robotic Telescope Cluster Camera between 19 July 2014 and 1 October 2016. Images were taken with the TG filter, results have not been transformed. The best fit period to these observations is 3.966051d. 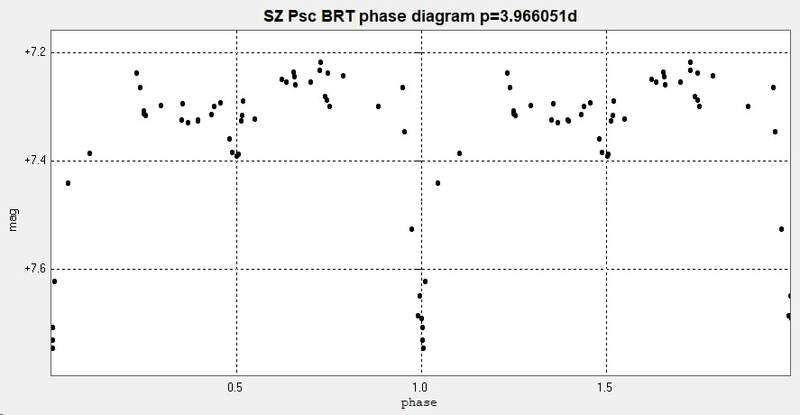 This compares to ​3.9657900 d (GCVS), ​3.965665 d (AAVSO VSX) and ​3.965655 d (Kreiner). (Accessed 7 October 2017). ​ The o-c curve is of interest - op cit).